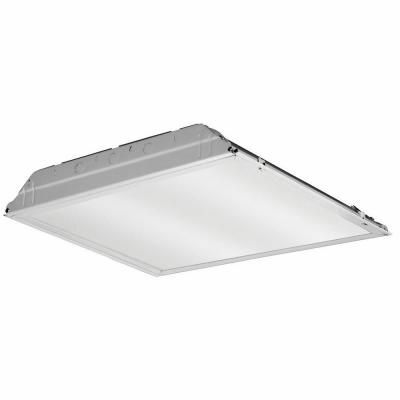 2 ft. x 2 ft. White LED Lay-In Troffer with Prismatic Lens The Contractor Select LED Troffer from Lithonia Lighting provides a digital platform to deliver general ambient lighting in applications such as schools, offices and hospitals. Long-life LEDs, coupled with energy efficient drivers, provide extended service life. Low maintenance and easy to install, this troffer works well in applications where LED is desired and budget-consciousness is needed. 2 ft. x 2 ft. White LED Lay-In Troffer with Prismatic Lens is rated 4.6 out of 5 by 83. Rated 1 out of 5 by Performancemp2 from Light performance and looks were great, but failed to come... Light performance and looks were great, but failed to come on after 45 days. Had to pay contractor to replace.